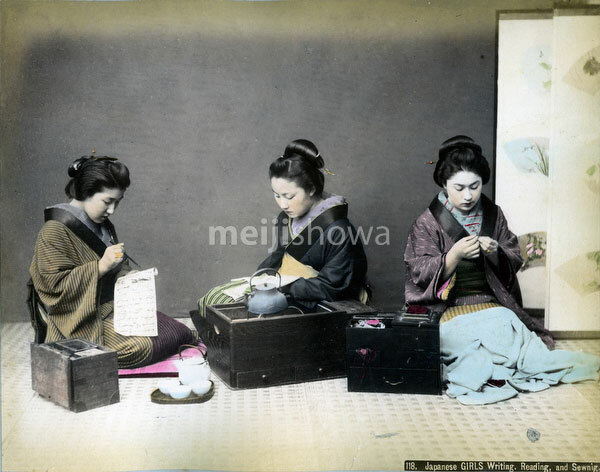 Three young women in kimono are seated on the floor. One woman is writing, another reading, while a third is sewing. In the middle is a hibachi with a kettle for hot water. A sewing box and a teapot with cups are in front.